Disney's Frozen DVD Just $19.96! You are here: Home / Great Deals / Amazon Deals / Disney’s Frozen DVD Just $19.96! Disney’s Frozen DVD Just $19.96! 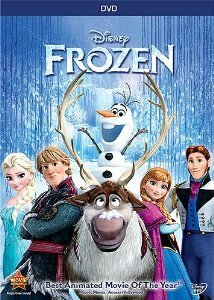 If you are a fan of Disney’s new movie, Frozen, you’ll want to be one of the first to pre-order the DVD! Just head over to Amazon and get it for $19.96 (reg. $29.99)! Plus, there is a price guarantee so if the price drops before it’s shipped, you will pay the lesser amount!